AREA INFORMATION - Trying to decide where in our beautiful area you want to live? Want to know about schools, rental potential, or neighborhood amenities? I have all this information and more. Just ask! 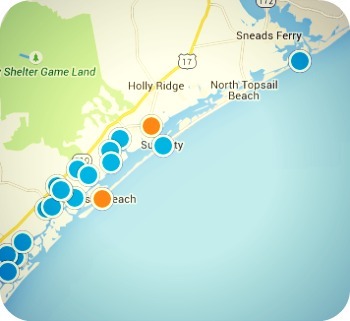 ACCESS TO EVERY LISTING IN THE EASTERN CAROLINA MLS - You can start your home search right here on my web site where you'll find information straight from our Realtor-only listing service on every home, condo, waterfront property and luxury property for sale on Topsail Island and surrounding areas. Need more information or to schedule a showing? Contact me when you're ready! EXPERT NEGOTIATIONS - Purchase price, terms of sale, inspection items and repairs are all things that may require negotiation during the home buying process. I will help you negotiate the best terms possible. PROFESSIONAL RECOMMENDATIONS - From lenders to repairmen, I can recommend reputable contractors for any services you might need during the home buying process and beyond. TRANSACTION GUIDANCE - It's my goal to make the home buying experience as easy for first-time home buyers as it is for those with past experience. From writing the offer to handing you the keys at closing, I'll work with you every step of the way.